Argentine film is hot right now. Oscar winning, entertaining, thought provoking – multifaceted Argentine cinema should certainly be streaming on your device. While the hits of 70s were restricted to light-hearted slapstick, it was in the 1980s that Argentina began again to make movies with heart, soul, wit, and intelligence. 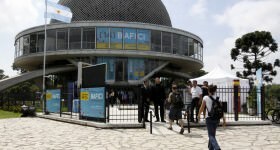 Spanning a range of genres, Argentine film can help you understand the complexities and attractions of the beautiful country of Argentina, the culture – and the language. Don’t expect a blockbuster, all-guns-blazing spectacular. Argentine cinema goes deeper. Watching an Argentine movie really does give you an insight into the psyche of the country’s people; their hopes and dreams, their prejudices, their fears, and their dark pasts. But that doesn’t mean every Argentine film should come with a history lesson and will move you to tears – some are just plain entertaining. What’s it all about? A fast-paced crime movie following two con artists as they try to pull off the ultimate score – selling a collector a sheet of counterfeit rare stamps (the so-called “Nine Queens”.) It’s an ingenious tale full of twists and turns and some stellar performances. Why watch it? 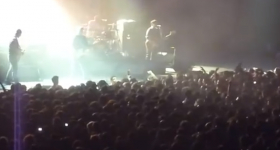 You’ll certainly be better versed in the common cons of Buenos Aires after watching this. And the ending will leave you astounded. Is it any good? Absolutely. 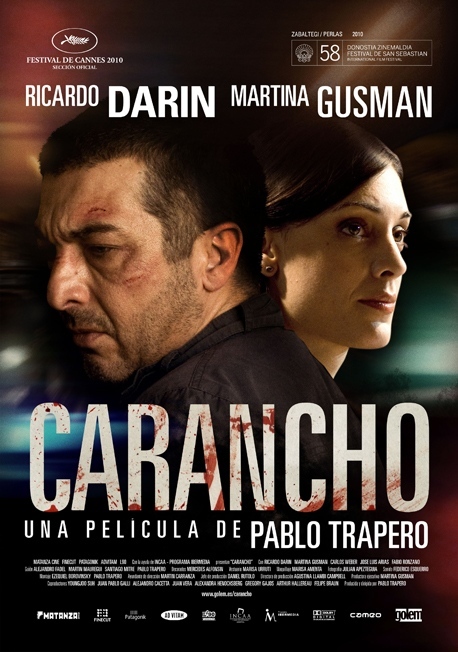 Starring Argentina’s favourite, Ricardo Darín, this is one of the true Argentine movie classics and it’s a thrilling watch. Watch the trailer. What’s it all about? 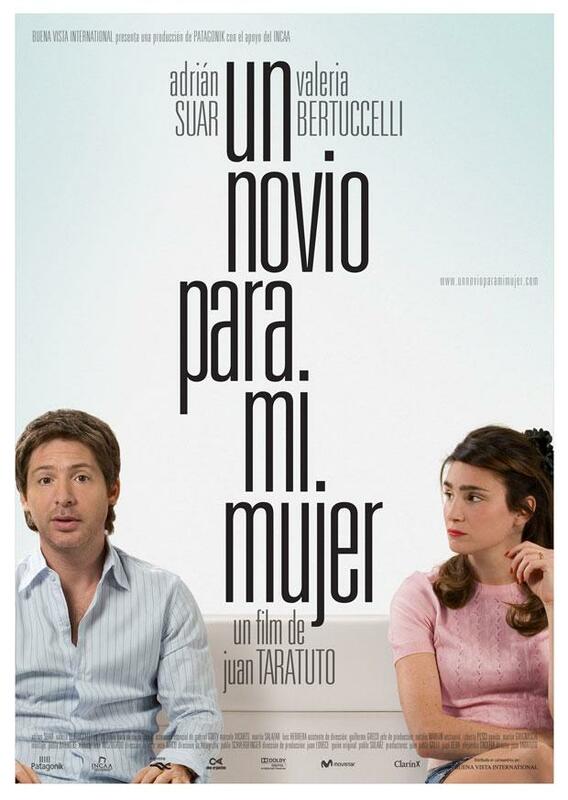 Romantic comedy following the trials of Tenso (Adrián Suar) who is desperate to break it off with his complaining, whining wife Tana (Valeria Bertuccelli) – yet he can’t bring himself to tell her he’s leaving. Instead he concocts a plan to hire another man to seduce her, and then he can ask for a divorce – hence the title “A Boyfriend for my Wife”. You can probably guess what happens (Tana falls in love with the man), but what happens next is more unexpected. Why watch it? Understand the strong-willed Argentine woman and learn a little bit about relationships in Argentina (clue: they are just as dysfunctional as anywhere else) in this fun film. Is it any good? Slow-moving, low-key and real, with a sweet ending, the plot is not entirely original but it was a popular movie at the Argentine box office when it was released. Why watch it? 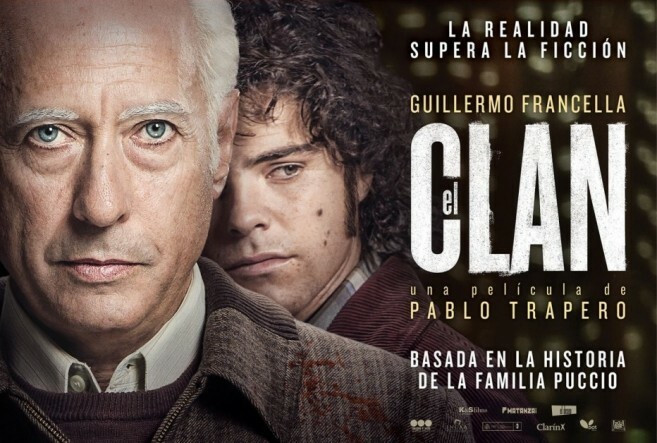 El Clan is a brutal true story that captivated Argentina, showing how the darkness did not necessarily abate in the 1980s after the end of the dictatorship. Enhance your understanding of an extreme side of Argentine with this visceral, incredibly powerful movie. Is it any good? Certainly is. “Full of Scorsese-like swagger,” says The Telegraph. “Masterly,” adds FT, and The New York Times says “The Clan, Pablo Trapero’s wrenching, exciting new film, could be described as an examination of the banality of evil.” The film had the strongest opening ever in Argentina and was an explosive success. Watch the trailer. What’s it all about? Sosa (Ricardo Darín, star of The Secret in Their Eyes) is a crooked personal injury lawyer preying on the victims of traffic accidents in Buenos Aires for his own financial gain. Luján (Martina Gusman) is an idealistic doctor. They clash. They fall in love? Why watch it? Directed by celebrated Argentine auteur Pablo Trapero, this thriller takes you directly into the seedy depths of Buenos Aires for a visceral experience of the traffic accident black market. Is it any good? “It’s a brutal but very smart contemporary noir from the Argentinian director Pablo Trapero… the clearest and most effective fusion of his dual gifts for realism and thrills,” says The Guardian. What’s it all about? 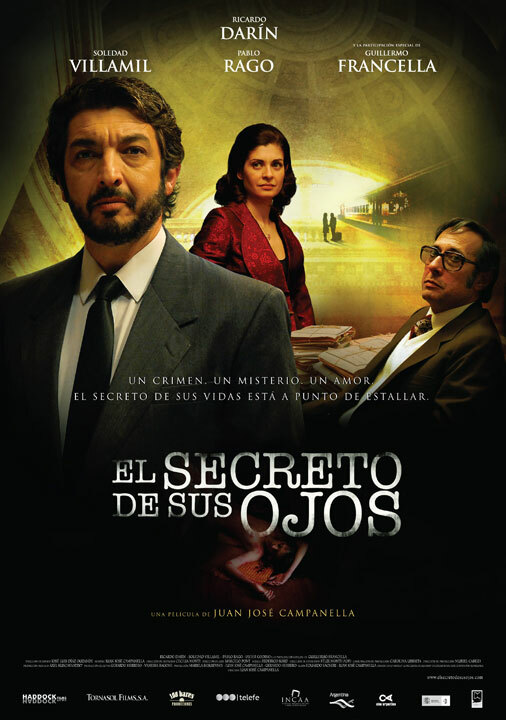 A winning crime thriller telling the story of Benjamin Espósito (Ricardo Darín), retired legal counsellor who is writing a novel about one of his closed murder cases. The case has haunted him, and he needs closure. He also needs to deal with his failed, secret love for Irene (Soledad Villamil), his former colleague. 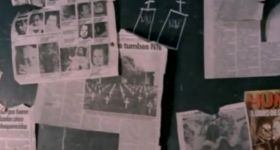 The story deals with the injustice of a murderer released due to his connections with the dictatorship, and the scars this troubled period left on those involved in the case as well as wider Argentine society. Why watch it? It’s won an Oscar, and it really deserved it. And it’s a damn good movie, filled with tension, detail, and fantastic performances. Is it any good? Well, it won the Oscar for Best Foreign Language Film in 2009. Critics love it. What’s it all about? Alicia (Norma Aleandro) is a regular housewife and high school teacher, and her much-loved husband Roberto (Héctor Alterio) is a lawyer in 1980s Buenos Aires. They have an adopted daughter and when one of Alicia’s students asks her if she believes the history books in what they say about the military coup, she begins to question the story behind the adoption. The truth is, during the Dirty War thousands of men and women were murdered and their children given to well-off families who did not question their origins. Alicia always believed the “official story” until now – and now she must find out the truth. Why watch it? Definitely one of the most important films in Argentine movie history, and a must-see to understand something of Argentina’s painful past. Is it any good? Another Oscar winner, for Best Foreign Language Film in 1986. Actress Norma Aleandro won the award for Best Actress at the Cannes Film Festival in 1985. Watch the trailer. What’s it all about? 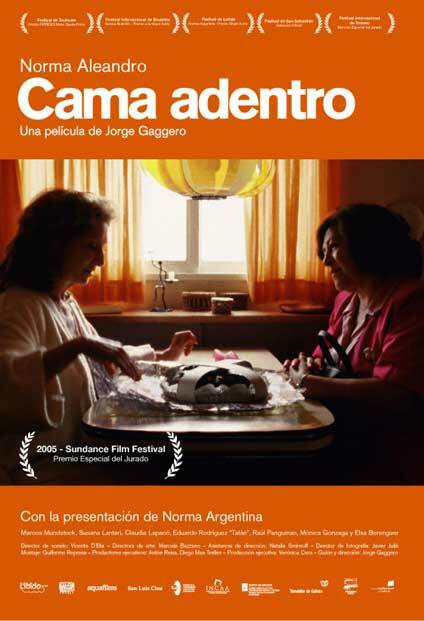 Set in 2001, this film tells the story of upper class Beba (Norma Aleandro) and her live-in maid, Dora (Norma Argentina). As the film opens, Dora has been working for Beba for 30 years but hasn’t been paid for seven months. It is clear that she will leave, and the film then tracks the experiences of the two women as they try to deal with their new realities in the face of economic chaos. Why watch it? 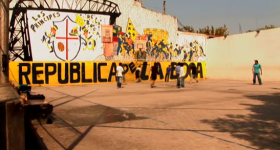 Discover the realities of the economic crisis in Argentina from a personal perspective – this movie deals with the cultural and class effects of the on-going financial problems in Argentina and is an art house gem to be discovered. Is it any good? The film won the Special Jury Prize at the Sundance Film Festival in 2005, and Best First Feature Film at the 2005 Toulouse Film Festival, among other accolades. What’s it all about? 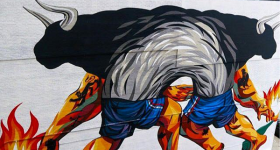 A low-key, quirky story about two brothers dealing with the frustrating realities of everyday life in Buenos Aires while battling with a larger question – is there such a thing as a mufa, a jinx, who can pass this bad fortune on to others? Why watch it? Get a little more insight into the quirks and frustrations of daily life for porteños, in all its downtrodden glory. Is it any good? Again, this movie didn’t hit the critics’ radar but it’s an enjoyable tale full of funny moments (particularly that moment with the car alarm and the brother’s over-the-top reaction). Watch the trailer. What’s it all about? El Bonaerense tells the frequently depressing tale of Zapa (Jorge Román) as he is forced into the greater Buenos Aires police force by his uncle, the former police chief, after an attempted robbery goes wrong. It’s a stark, dispassionate, often violent look at the corruption endemic in the police force in provincial Buenos Aires, lauded by critics. A tough watch, but filled with moments of bleak humour. Why watch it? A sad movie, but ultimately worth the watch. 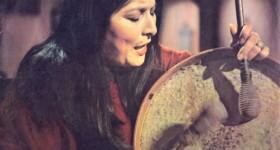 There’s also a good soundtrack of inventive cumbia and other Latin beats. Is it any good? Acclaimed director Pablo Trapero’s second feature premiered at Cannes and has enjoyed considerable critical acclaim. What’s it all about? Alex (Sam Huntington), a Brooklyn filmmaker, is seeking love and substance in life when he journeys to Argentina to meet Sofía (Andrea Carballo), a girl he’s only communicated with online after she left a scathing comment on one of his video posts. Once on an isolated island in Tigre, Alex must deal with Sofía’s erratic boyfriend and decide whether to try and capture her heart – or return to the US. Why watch it? 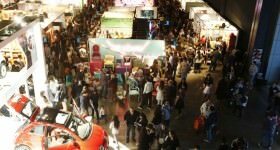 An example of a new wave of Argentine indie cinema, developed jointly by the US and Argentina, Finding Sofia is mainly in English – more accessible for foreigners still new to Spanish. Plus it has some lovely shots of beautiful, waterlogged Tigre in Buenos Aires. Is it any good? A low-key film which didn’t attract much critical comment, nevertheless this is a sweet example of “finding yourself” in faraway lands. Watch the trailer. What’s it all about? Roberto (Ricardo Darín) owns a small hardware store and is constantly disappointed by the frustrations of the world. He counts the screws in each delivery to make sure the supplier is not cheating him. Order and control are everything. To prove his view that the world has gone mad, he collects newspaper articles about terrible calamities caused by a lack of care and control. He believes he’s got his life in check until he takes in a Chinese man, Jun, who is thrown from a moving car in front of him. Why watch it? 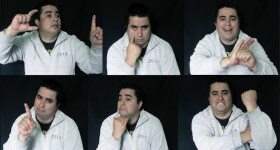 Get your castellano cursing up to scratch by studying Roberto and his reactions to stupid customers and crooked screw suppliers. Is it any good? Largely passed under the critical radar but it’s a delightful, subtle film about life. What’s it all about? We can all lose control. 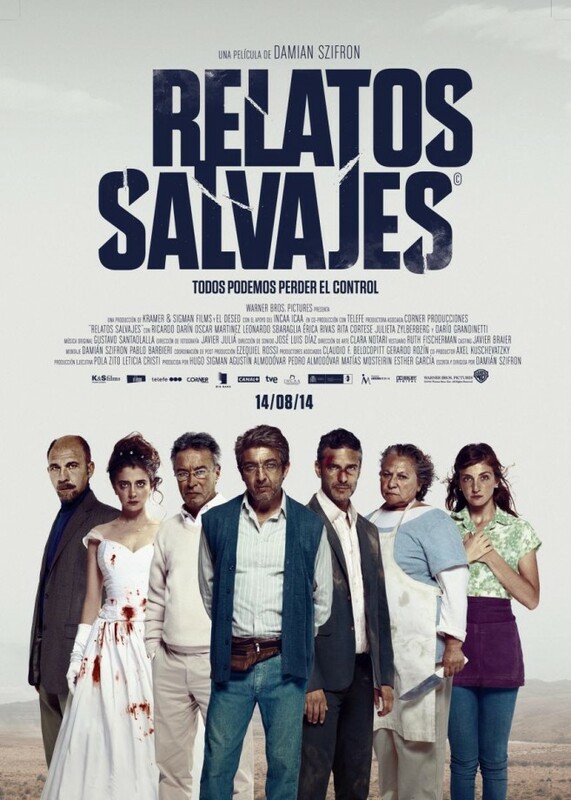 Relatos Salvajes is a set of six black comedy shorts combined to form an explosive, often hilarious, picture of what happens when ordinary people are pushed to the limit. Why watch it? Director Damián Szifrón hands you this compilation of stories that are guaranteed to intrigue and entertain, and improve your castellano into the bargain. Just put the subtitles on (Spanish or English) if your Spanish is not quite native-level. Is it any good? 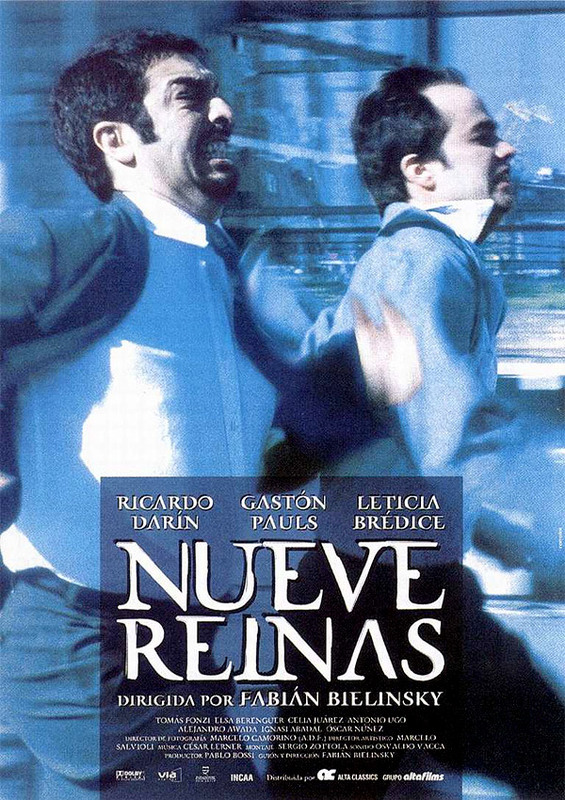 Relatos Salvajes was an Academy Award nominee and was enthusiastically welcomed on its opening in Argentina, with a heap of critical acclaim piled on it. Watch the trailer. What’s it all about? 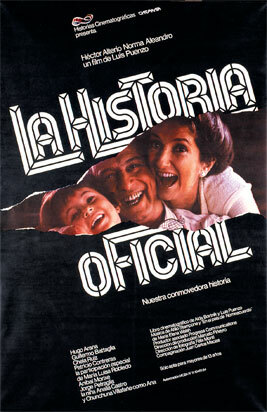 One of the most idiosyncratic, love-it-or-hate-it Argentine comedies, Waiting for the Hearse follows a day in the life of a large family as they fight over who will have to look after the mother – a crazy wreck of a woman fallen on hard times, who also – they believe – kills herself in the first few minutes of the film. Why watch it? Take an aspirin for all the shouting and be thankful you haven’t had to experience this kind of Argentine family. Or maybe you have – in which case, this film should bring back fond or frightening memories of an awful lot of shouting and swearing. 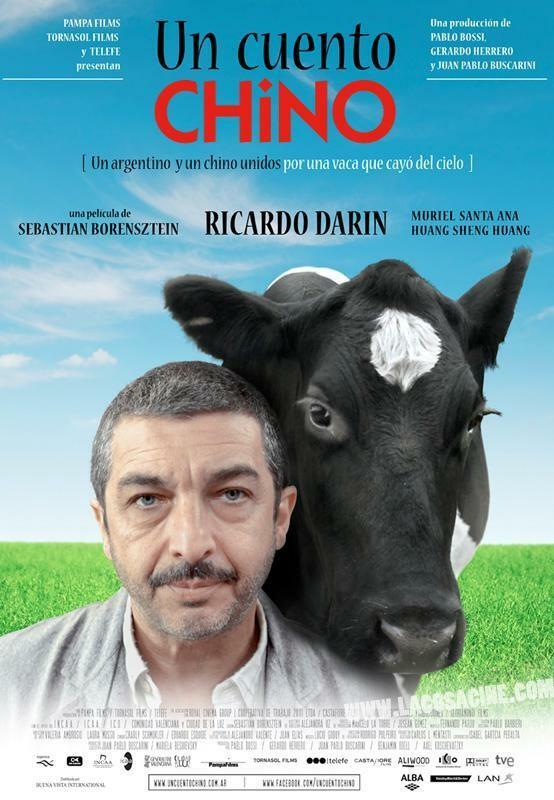 Many Argentines will beg to differ but this movie does reveal a lot about “real” family life in the country. Is it any good? The film was not initially well received by critics and was only a moderate success at the box office. But years later it became a cult classic and is much-loved by many Argentines who continue to watch it with glee even years after its release. What’s it all about? 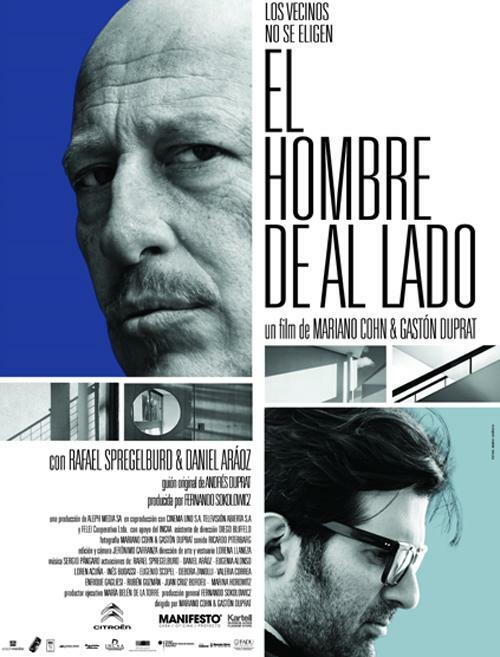 Leonardo (Rafael Spregelburd) lives with his wife and daughter in a prosperous part of La Plata, in a house famous for having been built by Le Corbusier. All seems fine and pleasant in his life until rough-around-the-edges next door neighbour Victor (Daniel Aráoz) puts a window in his apartment that directly overlooks Leonardo’s prized home. Tensions mount between the two men, until matters come to an unexpected end. Why watch it? 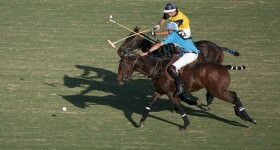 It’s a brilliant portrayal of human relationships with a true Argentine edge – you can never be truly sure whose side you are on. The photography is top notch and the atmosphere unforgettable. Is it any good? Won the award for cinematography at the Sundance Film Festival in 2010. Watch the trailer. Mundo Gruá (Crane World, 2002): With sepia-toned cinematography and naturalistic performances from non-professionals, Pablo Trapero directs this gritty tale of a man struggling through an unjust world. Historias Minimas (Intimate Stories, 2002): A heart-warming road movie about three people traveling to the tiny town of San Julian in Patagonia. It’s quiet, unpretentious, and highly realistic, and it showcases some stunning scenery. 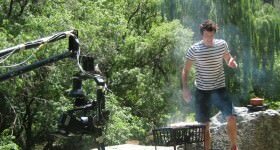 Metegol (Underdogs, 2013): A joint cooperation between Argentina and Spain, this is a computer-generated feature following the trails and tribulations of an underdog trying to save his town from an evil football player. Pizza, Birra, Faso (Pizza Beer and Cigarettes, 1998): A simple, gritty tale of young outcasts trying to survive another violent night in a violent city – Buenos Aires in the 1980s. 76-89-03 (2000): Cult black and white indie movie telling the story of three friends, the film broken down into three parts dealing with the beginning of the dictatorship, the arrival of a new president in 1989, and an imaginary 2003 as the film was made in 2000.